Not content with running our highly successful conservatory company we decided to expand our business and opened our sister company "Four Seasons Garden Spas & Hot Tubs". 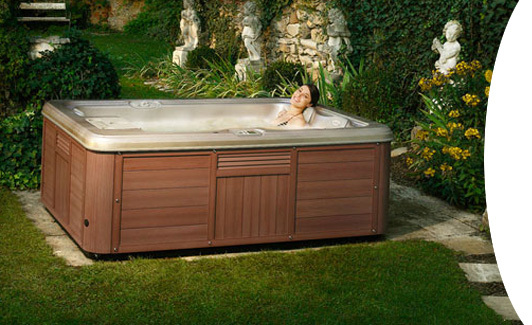 After carrying out extensive research we found there was only one manufacturer who matched our own high standards of quality and service and hence became the area distributors of the Artesian range of spas. Our superb showroom displays a varied range of spas alongside a substantial range of chemicals & accessories. Splash out with a garden spa or hot tub. Please note: Entry to Hot tub showroom is through Jade Conservatories. Saturday 10.00 am – 2.00 pm. However it is always best to give us a call first to check we are open and that the person who will be best to assist in your enquiry is available.